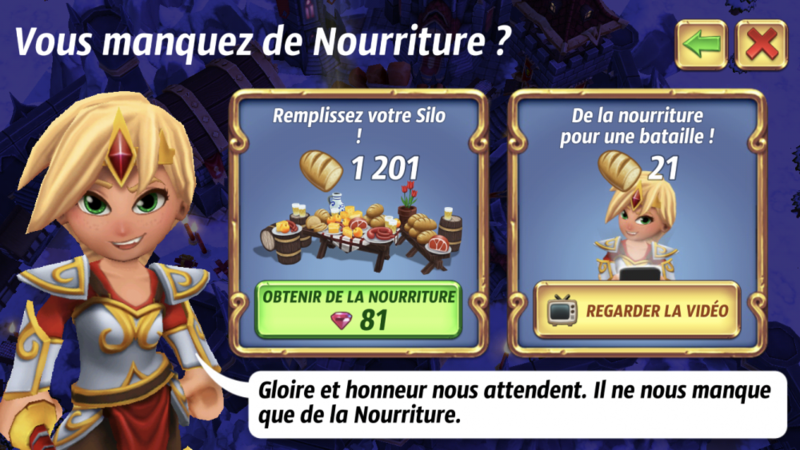 This is only a minor, cosmetical issue: In French on my device [iPhone 8] in the dialogue, which asks for watching a video to receive bread if you want to battle with an empty silo, there is a lonely exclamation mark (see photo). There should either be no line break in « Remplissez votre Silo ! » at all or the break should be between « votre » and « Silo ».